Though traveling with dietary restrictions can be an added nuisance, it doesn’t have to be. These days, traveling in Spain while avoiding gluten is easier than ever. Santiago de Compostela is full of accommodating restaurants, and many of Galicia’s typical dishes are naturally gluten free. 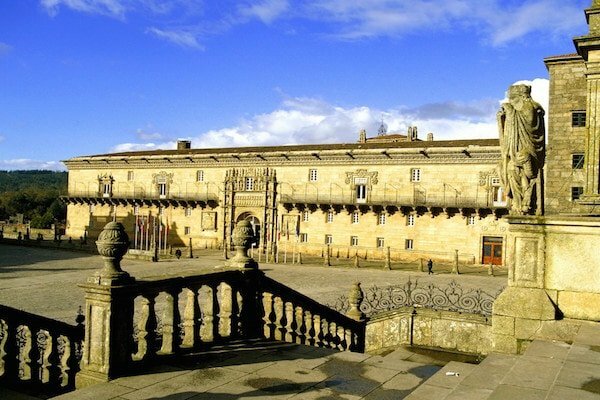 Get ready to eat gluten free in Santiago de Compostela without missing out on the best local bites. 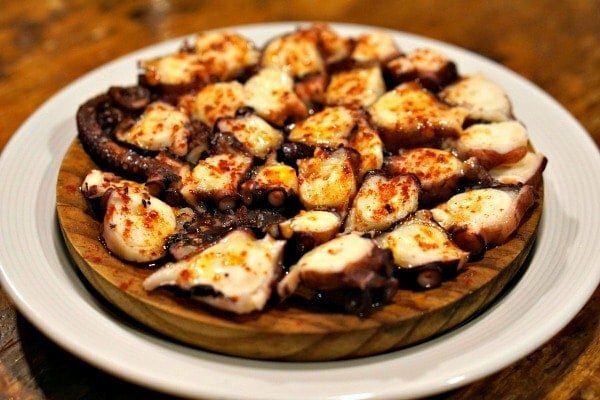 Galicia’s famous octopus is safe for gluten free diners! First, here are some essential Galician dishes that should be gluten free anywhere. Of course, double check with your server to make sure any accompanying sauces are also gluten free. 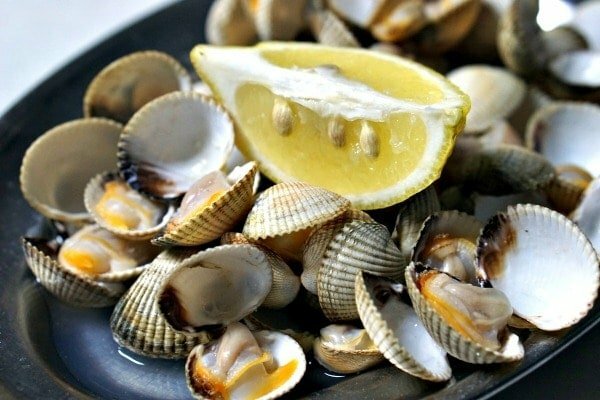 Galician seafood—simple, delicious and gluten free! Now that you have an idea of which dishes to look out for, it’s time to head out to eat! 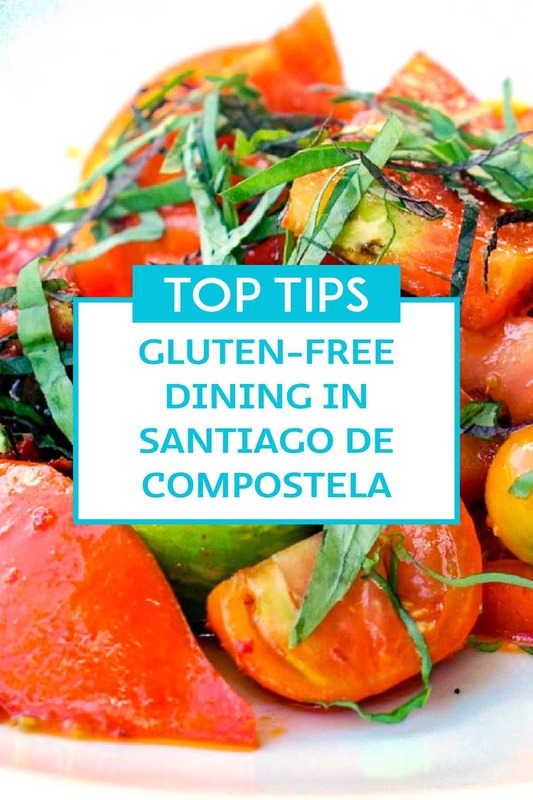 In addition to these excellent restaurants that make eating gluten free in Santiago de Compostela easier than ever, the Association of Celiacs of Galicia (ACEGA) also publishes this handy guide of celiac-friendly restaurants throughout the region. Go explore! 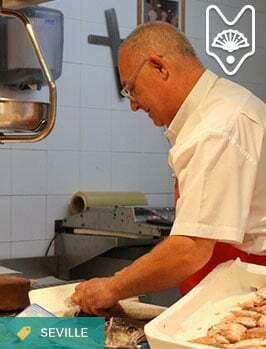 Named for the traditional knife sharpeners who would walk through the streets of Ourense with a stone wheel announcing their services to nearby villagers, O Afiador is a beacon of tradition. Here, they celebrate simple, traditional Galician food done well. They’re also attentive to the needs of celiacs and vegetarians, offering alternative menus to accommodate every guest’s needs. Eating gluten free in Santiago de Compostela doesn’t mean foregoing sweet treats! The entire menu at this beloved creperie is prepared without gluten. They also have meat and potato dishes, so it’s worth a stop even if you’re not craving something sweet. 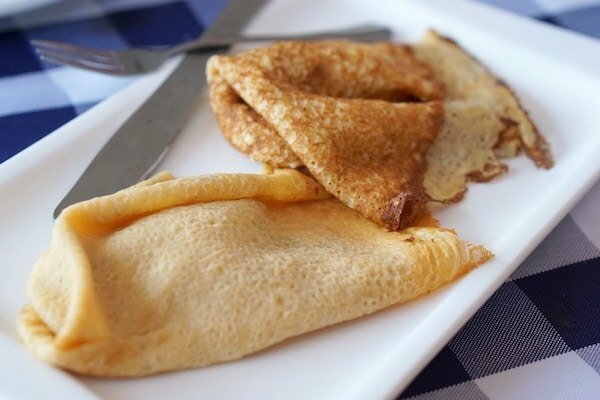 Fabulous crepes await you at St. Jacques! For a gluten-free breakfast beyond coffee, head to Café Venecia. 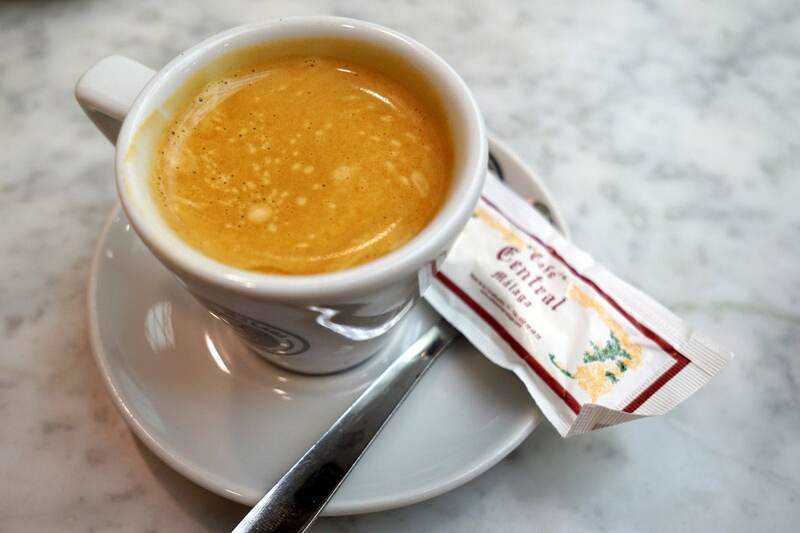 Home to some of the best breakfast options in Santiago de Compostela, they serve an array of expertly prepared coffees along with tasty tiger nut flour cookies or yogurt with fruit. A bit upscale but still inviting, A Curtidoría specializes in premium quality Mediterranean fare. Almost the entire menu can be enjoyed gluten free, and the friendly wait staff will help you navigate your options. 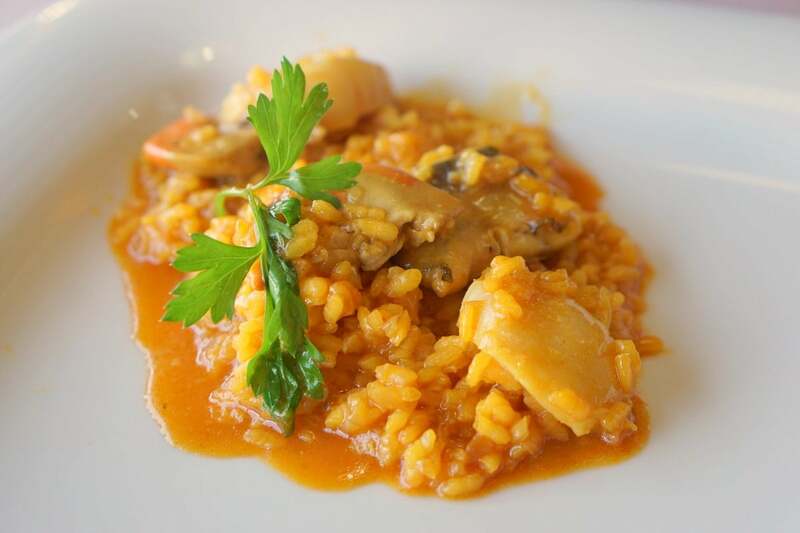 From exquisitely prepared lamb, to seafood pastas and any of their outstanding rice dishes, dining at A Curtidoría is a true treat for those eating gluten free in Santiago de Compostela. Rice is an excellent option when eating gluten free in Galicia! 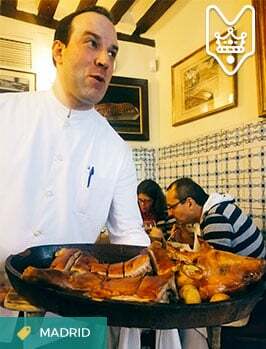 Specializing in meat and fish dishes accompanied (as many Spanish dishes are) by potatoes, O Dezaseis is a great option for dining gluten free in Santiago de Compostela. They even offer gluten-free bread so you can mop up every last drop of delicious sauce! This rustic tavern off charismatic Rúa San Pedro will adapt their daily menú del día options to your gluten free needs. An added bonus? There’s gluten free bread and dessert options, too! Located midway between the Cathedral and the Alameda Park, San Clemente features a lovely terrace. Specializing in seafood, most of their best dishes can be enjoyed without worry. Notify your server of your needs and your dish will be prepared separately! 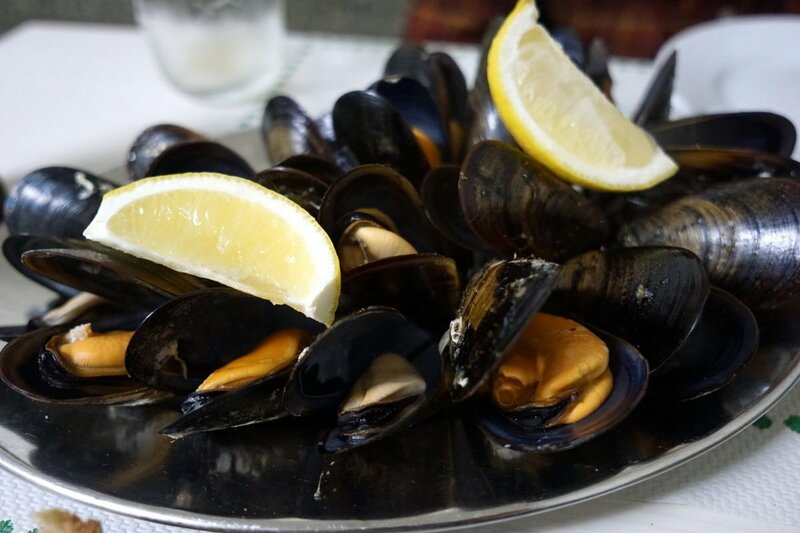 Delicious steamed mussels: an absolute must when you’re in Galicia! Another favorite when it comes to eating gluten free in Santiago de Compostela, this beautiful restaurant house is just a short walk south of the Old Town. Grab a table on the lovely terrace, tell the server about your needs and enjoy a gastronomical experience that engages all of your senses! “Paradores de turismo” comprise a network of high class hotels throughout Spain which are located in emblematic buildings of cultural or historical importance. These are publicly-run hotels that have a duty to bolster the traditional cuisine of the region in which they reside. 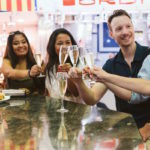 In addition, their agreement with the Federation of Celiac Associations means they are all required to provide gluten-free options. So, when traveling throughout Spain, look for any of these paradores for an authentic, gluten-free meal! Here in Galicia, you can’t go wrong with the restaurant at the Parador Hostal dos Reis Católicos. With a privileged location next to the Cathedral, they offer not only amazing food but also a terrace with spectacular views. Call ahead or reserve online to guarantee your spot at this spectacular restaurant. Situated on one of Santiago’s nearly hidden side streets, Maria Castaña has an extensive menu featuring staples of the local cuisine. 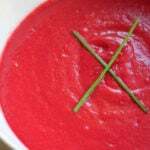 It’s easy to find something both traditional and suited for your gluten free diet. Try the octopus or the cocido gallego (Galician chickpea and meat stew)! 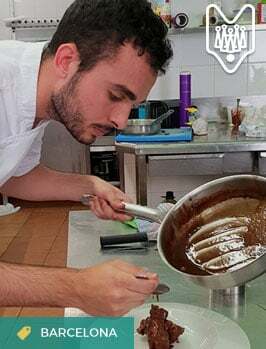 At this innovative Galician-Japanese fusion restaurant, the chefs are very attentive to food allergies and intolerances. Pretty much everything on the menu is gluten free or can be made so. Not only is it one of the best options for eating gluten free in Santiago, but they also have a Michelin star! See also: Enjoy all the tasty flavors of Galicia without the meat! Here’s your complete guide to vegan and vegetarian food in Santiago de Compostela.